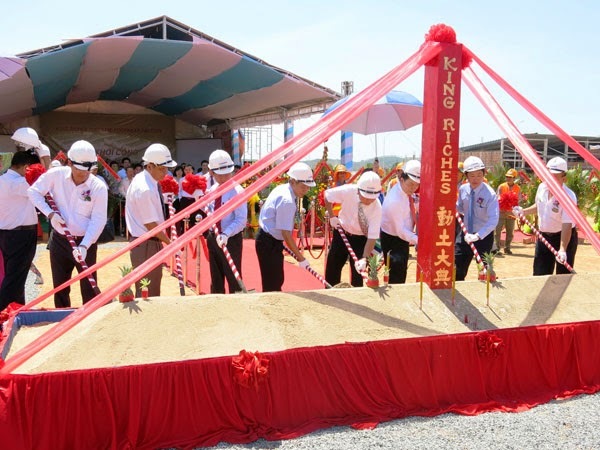 REIC - On May 30th 2014, King Riches (UK) held the groundbreaking ceremony of its footwear export manufacture plant in VSIP Quang Ngai Integrated Township and Industrial Park, Tinh Phong commune, Son Tinh district, Quang Ngai province. Designed by New CC Construction Consultants Co., Ltd. The plant covers on an area of 25.3ha with an investment of between US$30 million and $50 million in two stages. The first stage with an investment of US$20 million schedules to complete and put into operation by May 2015 including many categories such as: 03 plants, 01 production facilities, 01 dormitory for workers, 01 comminatory for expats , 01 cafeteria, 01 kitchen, 01 parking lot and others. King Riches is a subsidiary of Kingmaker Footwear Group (Hong Kong), a corporation listed on Hong Kong and Taiwan Stock Exchange. 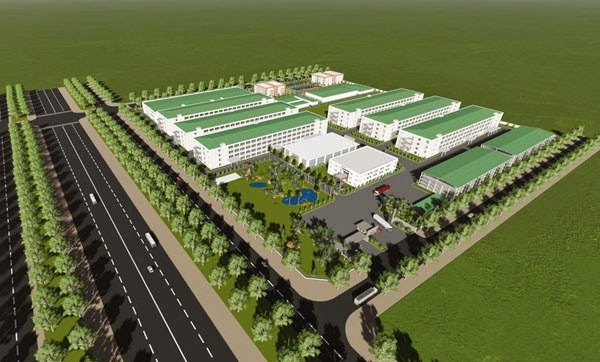 Kingmaker opened the first plant at VSIP Bình Dương in 1999. So far, this first project has expanded the total investment capital to US$24 million, creating jobs for more than 9,000 workers. In his opening remarks, Chairman of King Riches Viet Nam, Mickey Chen said he trusted on the support of Vietnamese Government and people as well as the VSIP management. He acknowledged that these support have strengthened the company’s trust and created favorable conditions for the deployment of King Riches second project as scheduled.